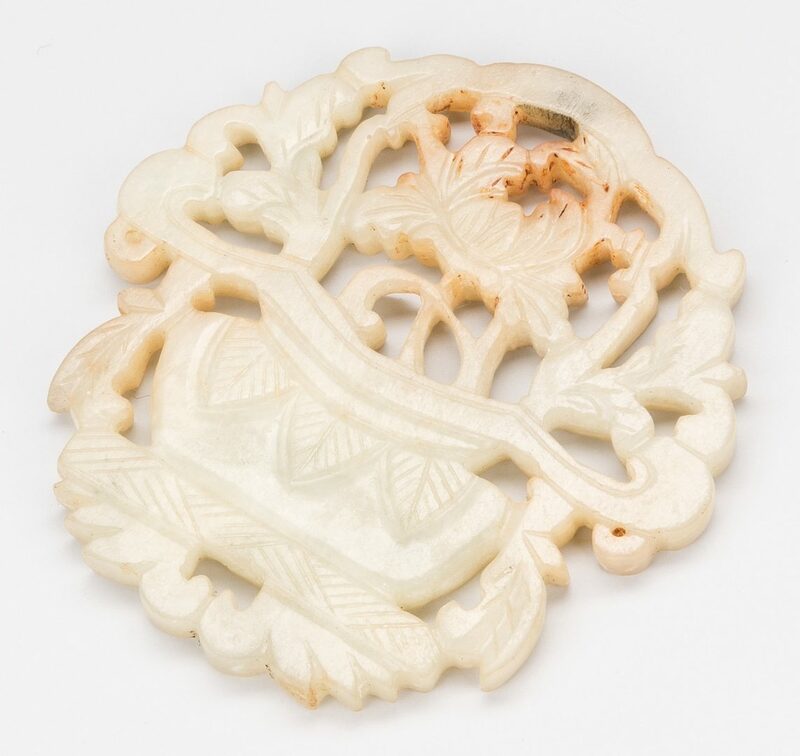 Four (4) decorative items. 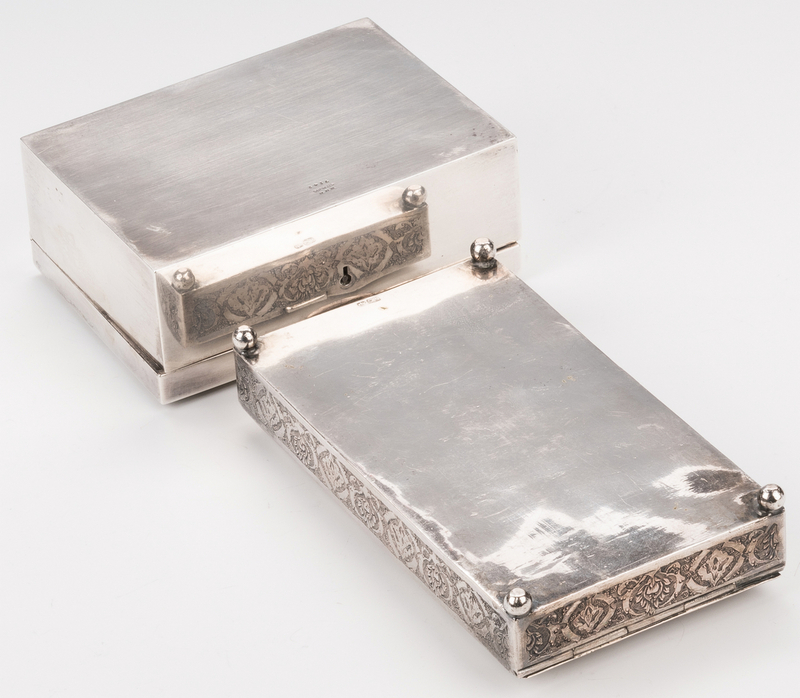 1st item: Sterling silver lock box with incised scrolling foliate decoration on hinge lid and pink velvet interior lining. Maker's mark "W S Sterling 7142", underside of box. 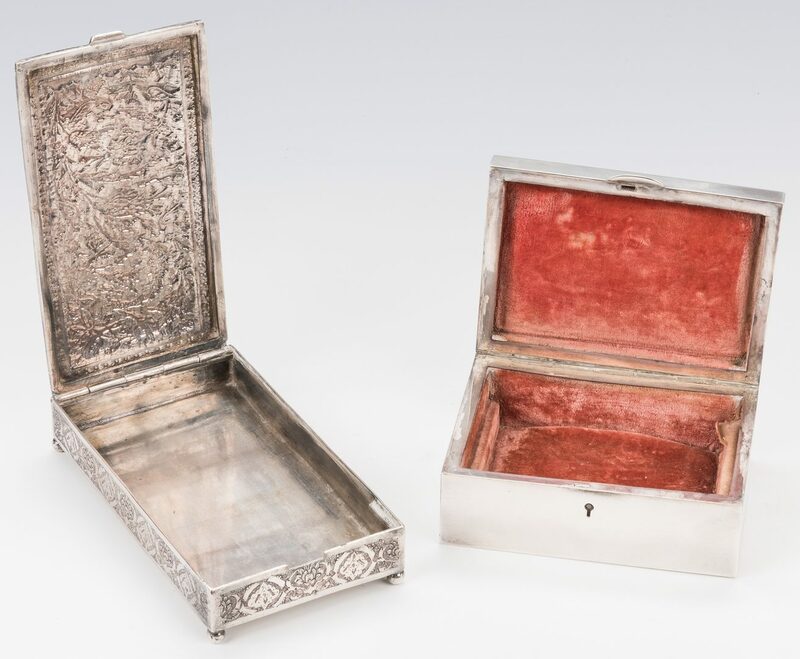 1 7/8" H x 4 3/4" W x 3 1/2" D. 2nd item: Iranian .875 footed silver box with repousse birds and foliate decorations on hinge lid, bands of repeated lotus blossoms, each side of box. 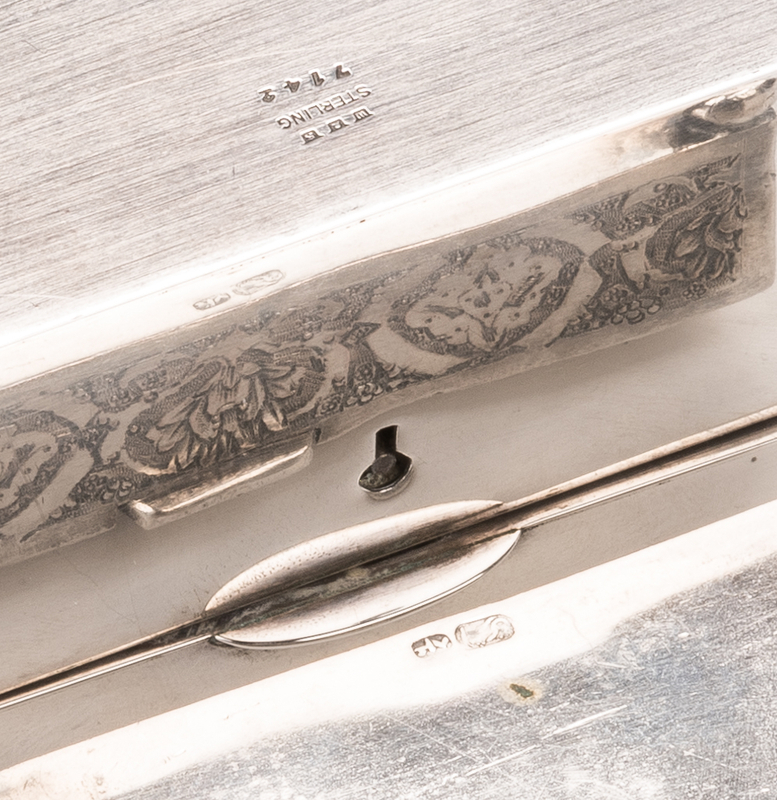 84 standard mark with maker or town mark, underside of box. 1 1/4" H x 3 3/8" W x 6" D. 9.995 troy ounces. 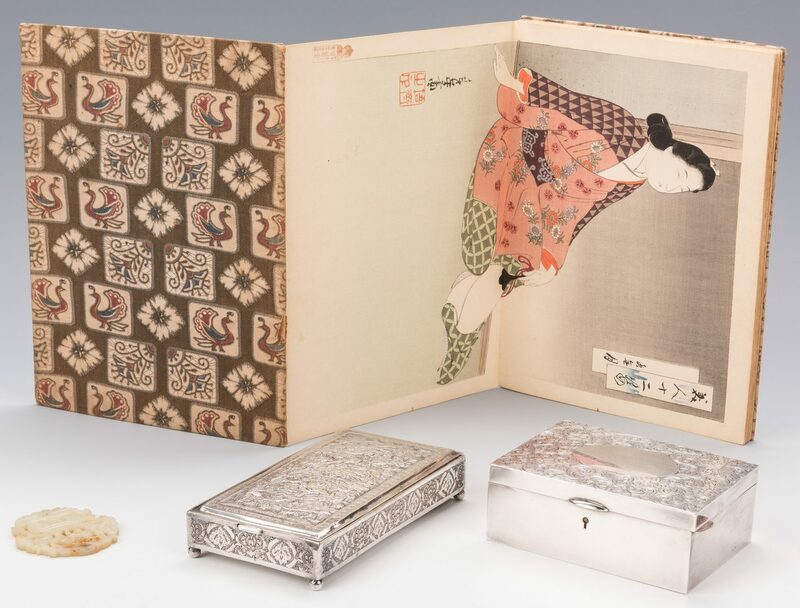 3rd item: Japanese accordion/orihon book with 12 Ukiyo-e style woodblock prints, 6 on each side, depicting women in colorful kimono engaged in various activities. 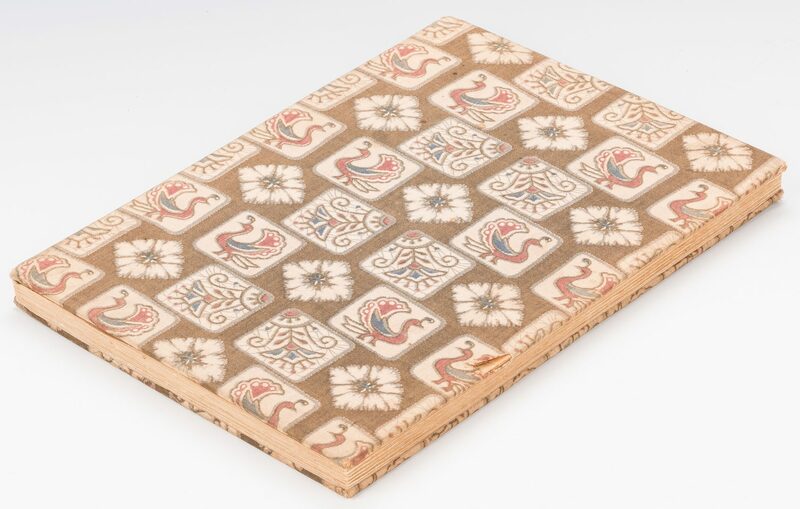 Prints bound in hardbound boards, covered with a light brown fabric decorated with birds and flowers. Prints – 14" H x 9 5/8" W. Book – 9 3/4" H x 7 1/4" W. Mid 20th century. 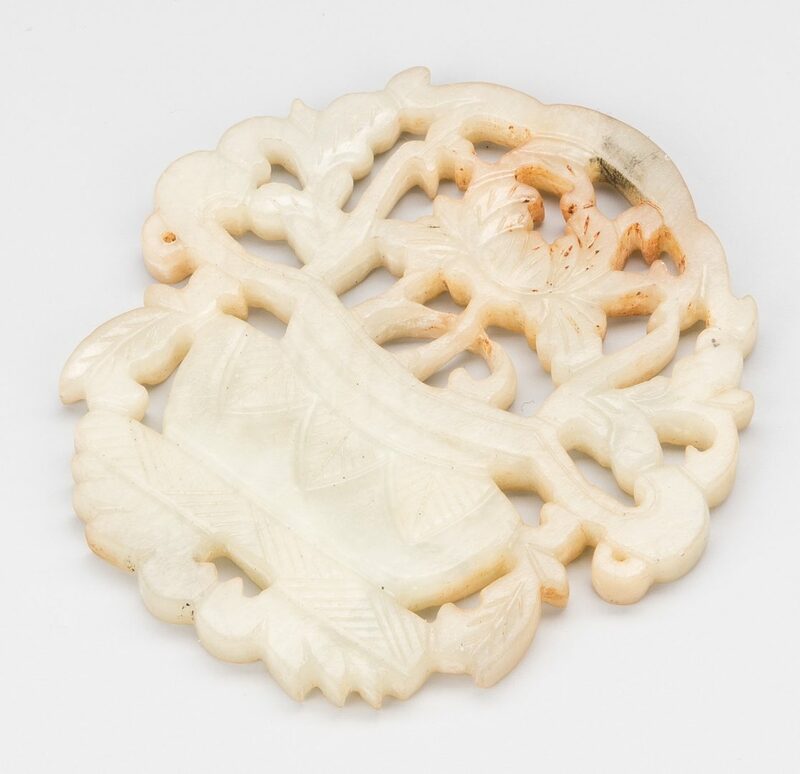 4th item: Small celadon hardstone plaque with russet accents depicting an urn with flowers. 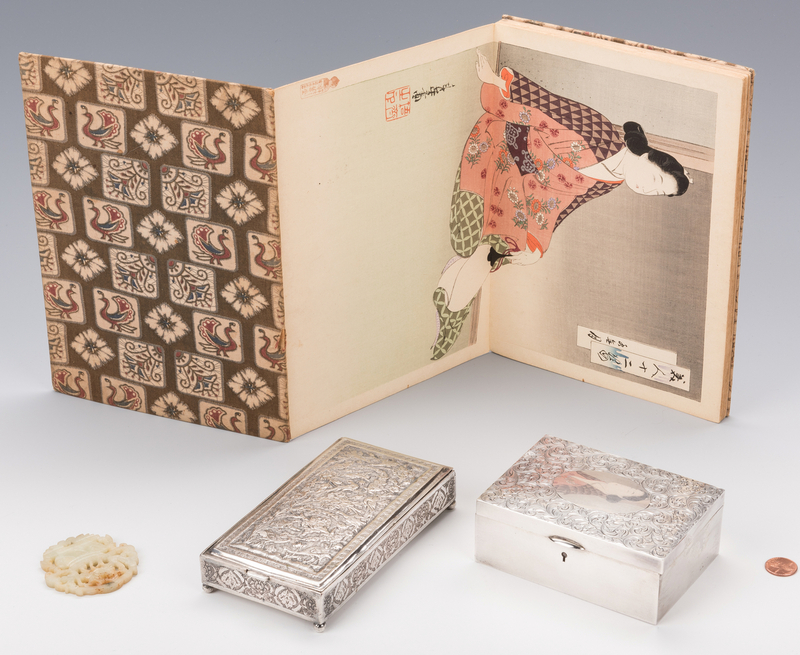 2 1/2" H x 2 1/2" W x 3/8" D. CONDITION: 1st item: Overall scratches, dents, surface of box. Lid is not flush with bottom of box. Key not included. Interior velvet in worn condition. 2nd item: Overall good condition with surface scratches. 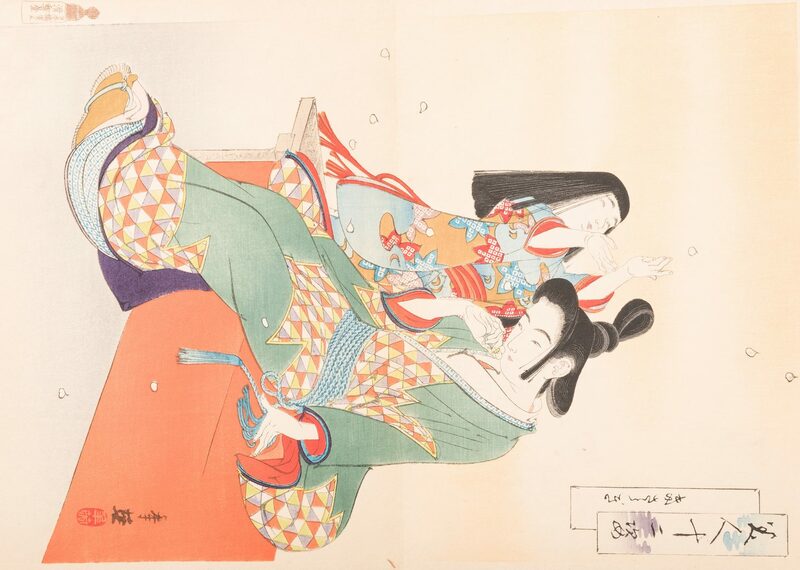 3rd item: Prints in overall very good condition. Fading, minute stains to fabric covers. 4th item: Overall good condition.